Executive Leader Summit explores leader development | Command and General Staff College Foundation, Inc. 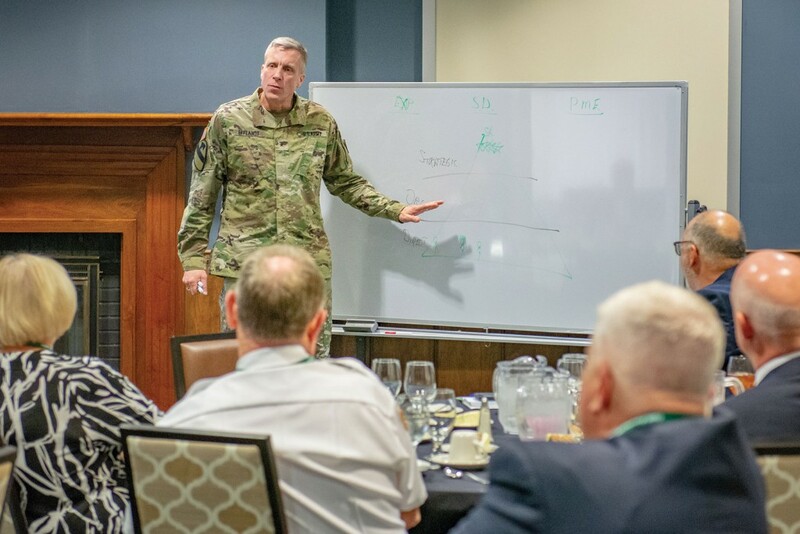 The CGSC Foundation in support of CGSC’s School for Command Preparation conducted an Executive Leader Summit on Sept. 6 on Fort Leavenworth. The purpose of the summit was to learn about the Army’s leader development processes and compare and contrast them to the civilian sector and allow the military and civilian attendees to learn from one another. There were twenty-four civilian senior leaders in attendance along with Col. Michael Forsyth, SCP director, and 10 of his faculty members. Col. Michael Forsyth, SCP director, briefs the group on the preparation given to Army leaders selected for command positions. 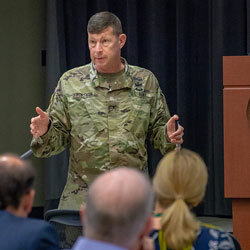 The summit began at the Frontier Conference Center where all the attendees gathered for lunch and heard opening remarks from Army University Provost and CGSC Deputy Commandant Brig. Gen. Scott L. Efflandt. Efflandt spoke about how the Army selects senior leaders and develops them through experience and continuing education. After the lunch with Efflandt the group moved over to Eisenhower Hall and the SCP classrooms where Col. Forsyth provided a presentation about how the Army prepares executive level leaders to assume their positions through the efforts of the School for Command Preparation. 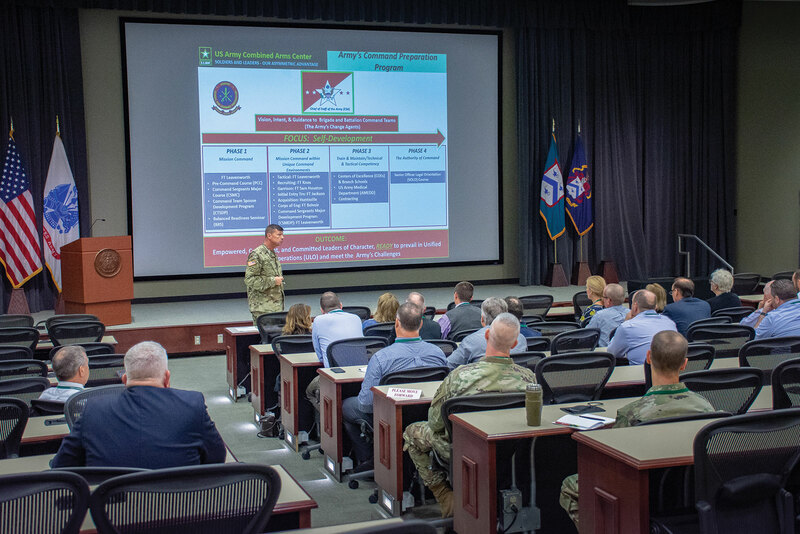 The main event of the summit was the roundtable discussion period in which the attendees were in small groups discussing the information presented by the Army leadership and best practices in senior leader development and continuing education. At the end of the roundtable period the attendees met as a larger group again to share what they had learned. The day ended at the Frontier Army Museum with a VIP reception and tour. Terry Betzelberger, President, LBW Advisors, Inc.
Steve McDonald, CEO, Geiger Ready-Mix Co., Inc.
CGSC leader development programs are intended for leaders who ASPIRE to learn and grow, INSPIRE them to further develop themselves and others, and help them MASTER the skills necessary to be better leaders. “AIM” is our guiding principle for these programs. 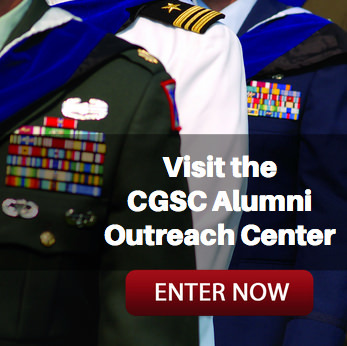 Throughout the year, the Foundation teams with the CGSC Department of Command and Leadership (DCL), the Center for Army Leadership (CAL), or the School for Command Preparation (SCP), plus other academic institutions, businesses, and nonprofits to provide a unique learning experience. 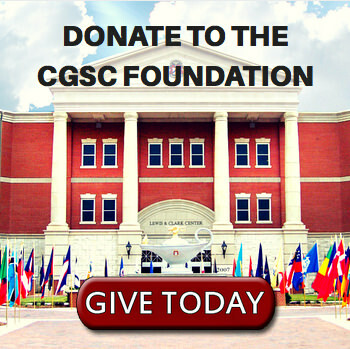 Support for this Executive Leader Summit was made possible by a generous donation to the CGSC Foundation by True Growth, a LWM III Consulting company. For more photos from the summit see the album on the CGSC Flickr site.